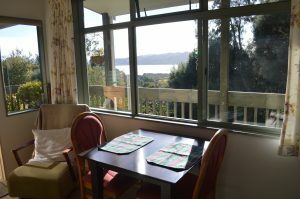 Base yourself for a few days at the heart of historic Hokianga. A lovely sunny cottage nestled in an area of native bush and garden with harbour views. 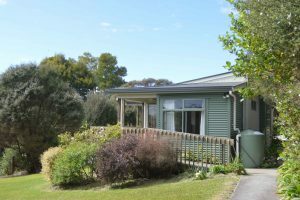 It is in a quiet part of the township, walking distance to the hospital and three minutes drive to the car ferry and shopping area. Rawene is an historic town known as the car ferry town where the vehicular ferry departs on a regular basis to transport travellers across to the north side of the harbour. Rawene is one of the oldest settlements in New Zealand. It has a small supermarket, cafe, garage and petrol station, takeaways, art and craft galleries, chemist and hotel. Your hosts are local and can help make your stay a memorable one and can share their knowledge about Hokianga’s interesting bi-cultural history. Meals and tours by arrangement. BBQ available.